Athlone Institute of Technology has developed the Midlands’ first food technology and business degree to meet demand for graduates in the exciting, multidisciplinary area of food processing and manufacturing – a rapid growth sector with more jobs than graduates to fill them. 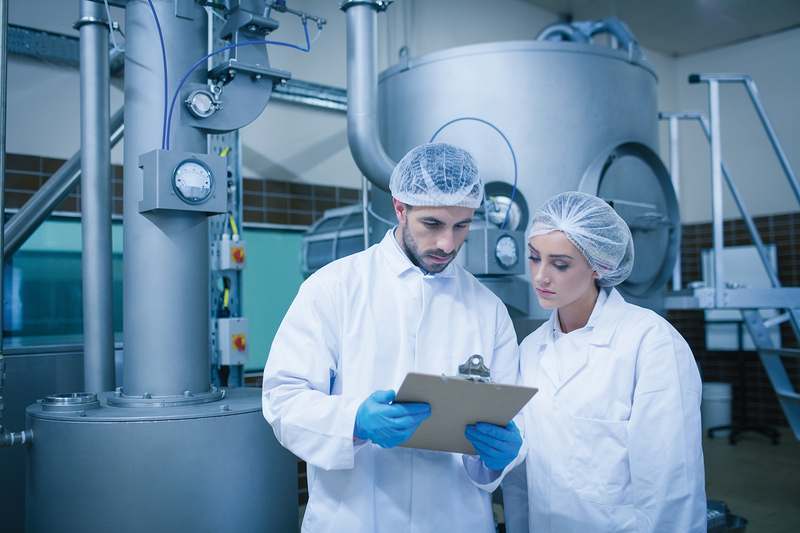 Combining food science and technology, the new four-year programme will prepare graduates for largescale production environments, such as the type found in Panelto Foods in Co. Longford or Carroll’s Cuisine in Tullamore – two of the largest employers in the region. “The scale of food production in places like Panelto is enormous - they manufacture 35,000 loaves of bread per hour! Similarly, Carroll’s Cuisine supplies ham to some of Ireland’s largest supermarkets - Lidl, Aldi and Dunnes. These are the companies our graduates will segway into – the industry is crying out for them,” Dr Anthony Johnston, head of department of business and hospitality at Athlone Institute of Technology, said. Nationally, food processing and manufacturing employs 42,000 people with Ireland’s wider agri-food sector pulling in an annual turnover in excess of €26 billion. For the past two decades, food ingredients have driven growth in the industry with exports more than doubling from €5.6 billion to €12.6 billion. This makes it one of the most important indigenous manufacturing sectors, a sector which is projected to grow by 23,000 jobs by 2025. Despite food manufacturing being one of the largest employers across the Midlands, with tens of thousands of people working in dairies, bakeries, meat producers and in additive production, no such third level food-related course exists locally necessitating students travel to Cork or Dublin. “We developed this degree in recognition of the growing needs of the region’s food manufacturing sector with the view to supplying them with a talent pipeline of graduates versed in manufacturing automation and food science, but also equipped with strong marketing, accounting and leadership skills,” Dr Johnston said. Work placement will form an integral part of the food technology and business degree, ensuring that graduates enjoy a smooth transition from studying to work and are ‘industry-ready’. The work placement component of the degree will be split into two – an initial three-month stint followed by a later six-month placement - and will act as a gateway for industry to both identify and recruit talent. Incorporating three strands: food processing, technology business management and professional development, the degree will cover areas like food factory design, processing engineering, food security, quality management and food safety, with classes delivered on campus in a variety of settings, including laboratories, kitchens, IT suites and lecture halls. Graduates of this programme can expect to carve out careers in all areas of food manufacturing, including business management, operations management, technology, processing and new product development – bringing a new product from conception to execution - and will achieve strong managerial level salaries. “The programme might suit someone coming from a farming background, someone who has grown up around the food industry and has a familiarity with and an interest in food. The skills gleaned from this programme are transferable and would be hugely beneficial to someone looking to work in large food manufacturing companies or, indeed, interested in pursuing their own entrepreneurial journey,” Dr Johnston finished. Athlone Institute of Technology is a modern and dynamic HEI distinguished by outstanding learner experience, international focus and applied research and innovation. Awarded Sunday Times Institute of Technology of the Year 2018, AIT is currently first nationally of all HEIs in the league table comprising of Irish Universities and IoT’s for student satisfaction and first across the technological higher education sector for research. For more information relating to the institute’s brand new BA (Hons) in Food Business and Technology, including CAO course code and entry requirements, please visit our website.